I got my most recent Stitch Fix back in December with a few specific instructions. I asked some maternity items like dresses and maybe a few cardigan-type sweaters that could transition well during and post-pregnancy. Well ask and you shall receive! Spoiler alert: this was a very successful fix. This is probably my second favorite item I received in this fix. The last Tart maternity dress I received was a success so when I saw the label I got excited. What I really love about this dress is the fit. It fits really snug and does not stretch out during the day. I have worn this a zillion times already because it is so comfortable. Seriously, dresses + pregnancy= winning. I think this will work well after pregnancy as well as I get back into shape. I would live in this if I could. This cardigan was another major win. Right now it makes me look a little bigger than I am because of the silhouette, but it is incredibly comfortable. I also love that it is fitted around my arms to give it a little shape. Lastly, pockets. Need I say more? My stylist is getting a feel for my color palette and navy fits in beautifully, it also goes well with another item from this fix which I love so much. This item I was unsure of at first. I like length of this as I am desperately seeking anyway to look longer and leaner these days. The downside? It's January and you clearly need a long sleeve tee to wear, of which I have one. Was not sure it was initially worth keeping for that reason. If you have lots of long sleeve tees, this is really a great option to add a little warmth without overheating. Also, it's grey so I definitely don't hate it. 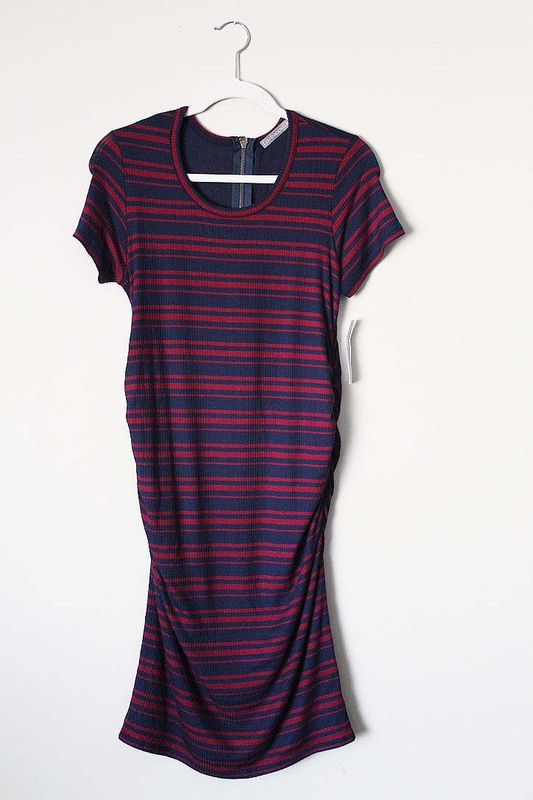 Another maternity dress. I was very happy to see this as well. At first I wasn't sure if I was into the stripe, it was a little 90s for me. But right now I am about the comfort and this fit the bill. It is not as well fitting as the Tart dress, but it gets the job done. 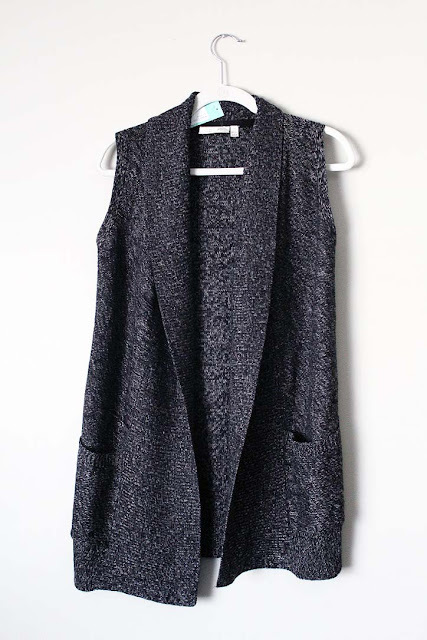 I can wear it with the navy cardigan from this fix or I have a few other long cardigans that go well with it. 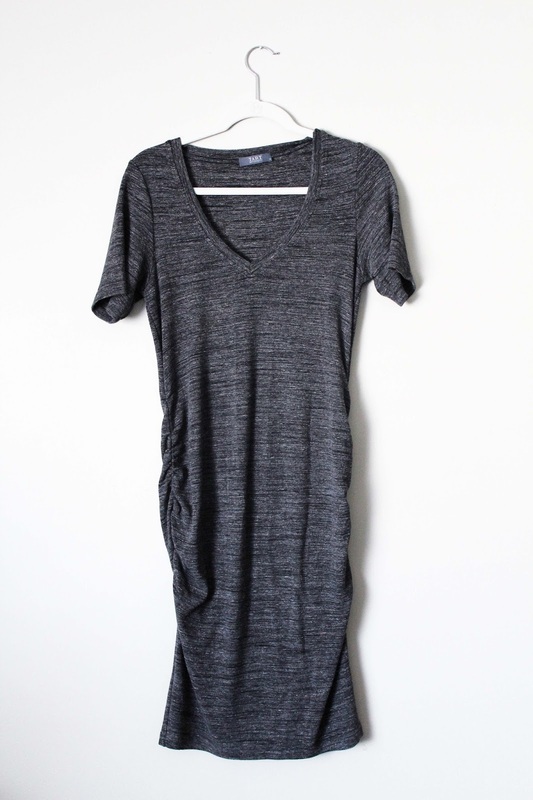 This dress is great for work or just a casual weekend. I also think this will transition nicely into early post-pregnancy body and give me a little wiggle room to work with. Last but not least, the hero item. This is the all around winner of this fix. It was also the priciest but so worth it. 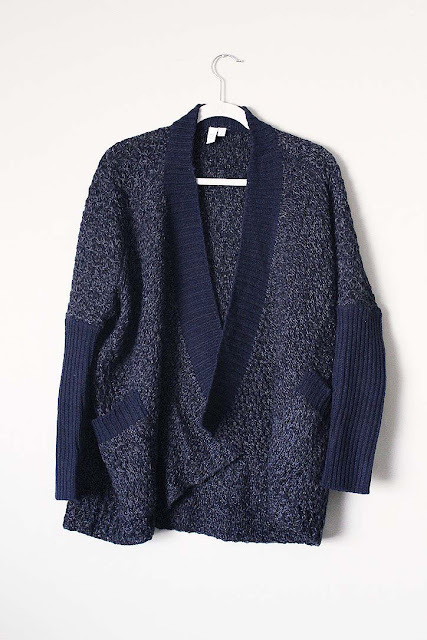 I have worn this a few times like cardigan more so than a coat. 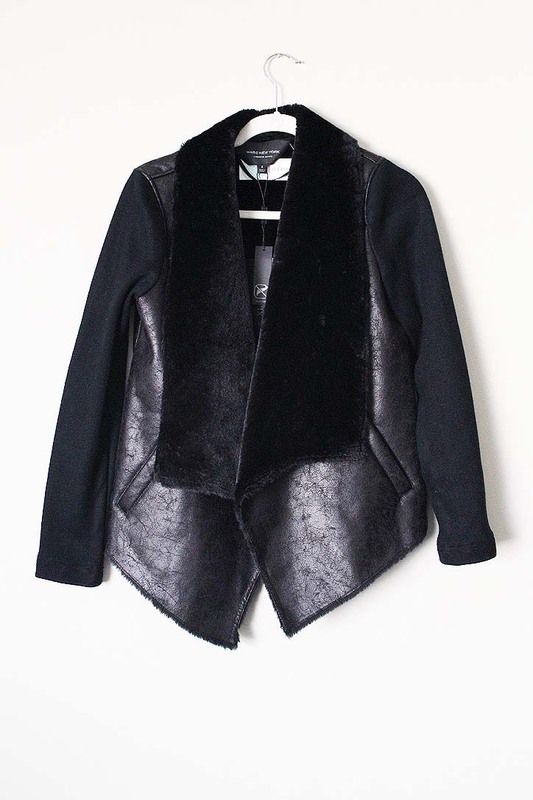 I love the faux fur detail and faux leather look on the front. This basically adds a sense of luxury to anything I pair it with. I have mostly mixed it with various dresses, but post pregnancy I would add a little rock n' roll glam with some leggings and statement pieces. Overall this fix was a rousing success. I bought all five items. One or two I really debated but with the discount you get with buying all five, only buying three isn't worth it. Another successful fix in the books! Haven't tried Stitch Fix yet? Click here to get started!